My broad area of research is at the interface of ecology, evolution and biogeography. My PhD (from this lab) was on the diversification of bush frogs in the Western Ghats Escarpment. My current research - focussed on amphibians and reptiles - is on the processes driving diversification and diversity patterns in clades and the effects of these - along with dispersal and ecological processes - on the spatial and temporal patterns of diversity, range evolution, faunal assembly and endemism. I rely primarily on extensive field data, but also on genetics and ecological modeling, to address questions and draw inferences about evolution, ecology and biogeography. I started my work in the Western Ghats, but I have also worked in the Himalayas and Andaman and Nicobar Islands. During my PhD, I helped coordinate a project on the distribution of frogs, lizards and snakes across the Western Ghats, supported by CEPF. An online database and a field guide/atlas are currently in preparation. I also have a strong interest in disseminating research findings to the public. I continue to collaborate with the lab on various projects. Read more. I am currently examining range-wide phylogeography and contemporary population genetic structure of the king cobra within India and reconstructing the biogeographic history of O. hannah in Southeast Asia. We will test for the presence of evolutionary distinct units (ESU’s) and underlying drivers, for the long-term conservation of king cobras. We plan to use a sampling design that incorporates the geographical and bioclimatic heterogeneity of the Indian subcontinent to collect king cobra samples (non-invasive) and occurrence data across the extant range of the species. I am interested in investigating patterns of species distribution and diversification of snakes and other herpetofauna. For my doctoral research, I am trying to understand the morphological and genetic relationships between different species of pit vipers, vine snakes, cat snakes, keelbacks and a few other genera of snakes are distributed in India, using molecular tools, and morphological and environmental variables.I am also attempting to understand how such relationships are correlated with temporal patterns of geography, ecology and environmental events. In addition, I am investigating the comparative biogeography across genera, given the same kind of historical events. I am working on the evolutionary history of the frog genus Nyctibatrachus from the Western Ghats. This genus is an ancient frog lineage that has undergone extensive radiation in the Western Ghats and does not have any close relatives in any other part of the Asian mainland. Its endemism, extreme homology, ancient history, extensive diversification and interesting pattern of distribution make it a particularly suitable model system for examining the process of diversification. My work deals with the following objectives: delimiting species, examining patterns of distribution and adaptive/non-adaptive radiation, investigating role of geological/ecological factors in causing diversification and finally, determining modes of speciation in Nyctibatrachus. I’ve always had a peripheral interest in the animal world. It was while pursuing my B.Sc. in Zoology from the University of Bombay that I developed an interest in ecology and realized that I could actually pursue wildlife biology as a career. Following a M.Sc. in Widlife Science from WII, Dehradun, I joined the PhD program at CES in 2008. My hobbies include philately, horology and quizzing. I have been using molecular tools such as DNA sequence data to investigate processes that generate and maintain biological diversity. I am curious to answer fundamental questions related to population divergence, adaptation and patterns of phylogenetic genetic relationships, biogeography and conservation. Apart from being a lab rat, I am always excited to work on field and enjoy exploring new places. I am currently actively involved in the study to examine phylogeography and contemporary population genetic structure of the king cobra within India and reconstruct the biogeographic history of O. hannah in Southeast Asia. Within the molecular phylogeography framework, we are using mtDNA and nuclear markers to test for the presence of evolutionary distinct units (ESU’s) and underlying drivers of diversification, for the long-term conservation of king cobras. I also work on other taxa (frogs, lizards and snakes) to understand their systematics and phylogeny. I am currently working on a project on the diversity and comparative phylogeography of geckos in these Islands. Geckos are among the least explored fauna in the Andaman and Nicobar Islands despite being one of the most interesting groups. We aim to identify important islands which harbor diversity, understand dispersal abilities of species, recognize barriers to gene flow and more. Using this information, we want to prioritize species and islands which are important to conserve this lesser known, yet beautiful organisms. I am driven by my passion towards understanding the evolutionary course of reptiles and island archipelagos. I have completed my masters in Ecology from the Pondicherry University. For my masters' thesis, I worked on the phylogeography of the Andaman keelback (Xenochrophis tytleri) in the Andaman Islands, and examined barriers to gene flow between populations. Besides academia, I like sketching (making scientific illustrations is my side business) and I am also a crappy writer. I am interested in looking into the various aspects that contribute to evolution and speciation. I like reptiles as they are enigmatic, vibrant, elegant and serve as an excellent evolutionary model to study. I currently work on understanding the diversity of micro-ornamentations in snake scales. The scales of snakes have been observed to possess unique microstructures that are variable at the interspecific level. My project involves a multidisciplinary analysis of snake scales which might lead to insights about the role of genetic and environmental factors which direct scale microornamentation patterns. I am also interested in topics such as systematics, bio-diversity and trophic ecology of pit-vipers and Indian gekkotans. Other than spending time wishing that dinosaurs were alive, I paint/ illustrate/ sculpt wildlife (again, very paleo/herp-biased). Rarely I try to make something like music using tools such as a mridangam or a guitar. I am interested in questions related to evolutionary ecology and biogeography. My research interests are mainly focused on phylogeography, phylogenetics and bioacoustics. I have worked on different model systems to delimit species and understand how they have diversified in time and space. I would also like to use acoustics as another layer to delimit species. From 2011-2016, I was part of a team that worked on amphibians and reptiles across the Western Ghats in India. We generated morphological and genetic data for the frog family Rhacophoridae and used it to identify patterns and processes involved in lineage and clade diversification in bush frogs across the Western Ghats. I worked with many researchers who used frogs, lizards and snakes as model systems in order to answer questions related to distribution and diversity. We have also initiated a project on the acoustics of bush frogs and I am currently in the process of analysing the data. I also developed and standardised lab protocols and trained research personnel and summer interns. I made sure the lab didn't burn down. 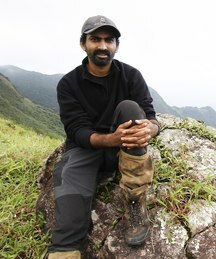 I am from coffee growing communities of the Western Ghats, and started my early research life roaming around the hill ranges of Kudremukh and Mullayanagiri in search of birds and butterflies. After completing doctoral research in coffee genetics, government service provided me an opportunity to kick start my new interest in amphibian taxonomy. In the process of addressing taxonomic issues, I ended up working on phylogenetics, phylogeography and evolutionary history of amphibians of the Western Ghats. As part of my postdoctoral project in the lab (2011-15), we attempted to examine the extent and patterns of distribution of genetic diversity within the Ranid family of the Western Ghats. We assessed species-wide phylogeographical structuring within the ranid frogs to make inferences about gene flow between geographic locations on the either side of the Palghat Gap in the Western Ghats. We continue to elucidate problems in taxonomy, systematics and delimitation of the species, and are attempting to define the altitudinal and latitudinal range of distribution for ranids and other frogs. Saunak Pal (herpetology), Project Assistant, 2010–2014. S.R. 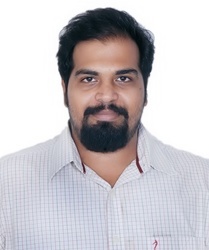 Chandramouli (herpetology), Project Assistant, 2012–2014. Anisha Jayadevan (macroecology), Project Intern, 2014. Vijay Ramesh (molecular ecology), Project Assistant, 2013–2014. Kalpana Das, Project Assistant (herpetology), 2011–2013. 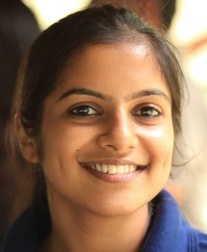 Asha A., Project Assistant (GIS), 2011–2013. 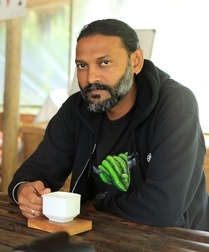 Mrugank Prabhu (herpetology), Project Assistant, 2010–2012. Riya Menezes (molecular genetics), Project Assistant, 2008–2009. M.S. Chaitra (herpetology), Project Assistant, 2006–2008.